The past week of light tackle fishing has been excellent with great weather conditions and calm seas. The Spanish mackerel have been providing good action with some good sized GT’s thrown in to make things interesting. 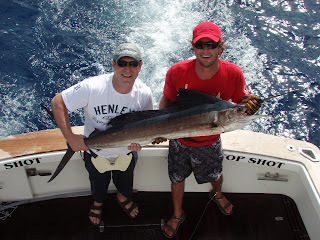 We caught a small sailfish yesterday, 1 of a double header with the second one proving hard to hook.